“By the time you get new technology, it’s already old because they’re working on the next thing,” said Davis, whose company, Telephone Diagnostic Services Inc., has been on the cutting edge of communications since 1984. TDS was launched in the aftermath of the breakup of the Bell System, but Davis had cut his teeth on the burgeoning telecommunications field in the late ‘70s as a cost accountant for construction engineering firm Henkels & McCoy and its subsequent offshoot, Star Datacom. “That time I worked at Henkels & McCoy played a big part in the process of getting this company where it is today,” Davis recalled. Sitting in his office in the former Duca Studio, a building he bought and renovated in 1999, Davis smiled as he remembered the ingenuity it took to fire up a plexus of 12,000 phones for IBM, which was the largest privately owned phone system at the time back in the late ‘70s. That innovation may seem downright Victorian to Davis’s young partners, TJ McDonald and Jeff Snyder, compared to the stuff the company is cooking up these days as it aces the convergence of telephone, cell phone and computer into a singularly harmonic symmetry. With its new brand V2B (Virtual to Business), which enables clients to utilize the Internet for their phone systems, TDS will bill its subscribers directly, eliminating the middle man, as it were. One of the most compelling features about V2B is instantaneous voice mail to e-mail capability, Davis pointed out. “The buzz word in today’s world is ‘presence.’ You can be at one place and be attentive to all your needs. But instead of me leaving you a voicemail and you not getting it ‘til the end of the day, you’re going to get it immediately. Not everybody wants that, but for those who do, it’s available. 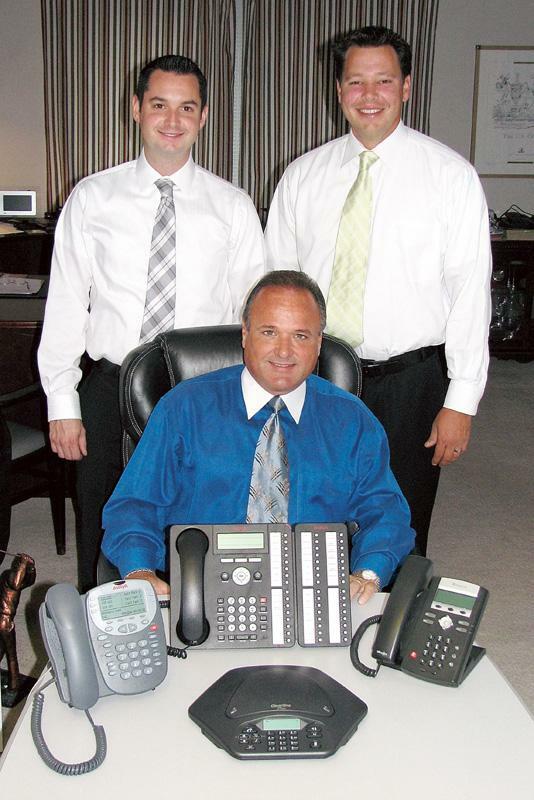 The company recently hired two additional sales reps, Snyder noted. The sky is still the limit for a company that’s been soaring for more than a quarter of a century, McDonald noted. “If we don’t know something, we’re going to figure it out. Nobody that works here will say no to any task, and that’s why we’re so diverse today and can handle customers in California or Texas ... and that’s because we never said no,” McDonald said.